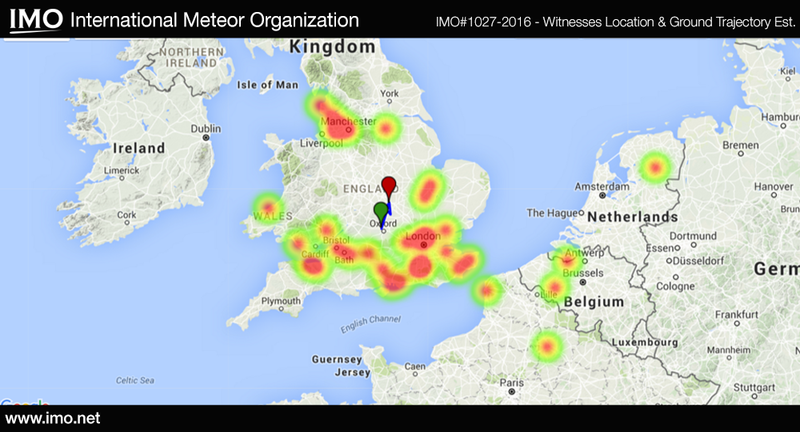 The International Meteor Organization received over 45 reports so far about a fireball event over UK (England) on Thursday, March 17th 2016 around 3:16 GMT. The fireball was seen primarily from England but witnesses from France and the Netherlands also reported the event. We expect more reports today. Below is a video of the event caught from London by a Twitter user.